Technical Support Jobs in Bangalore – IBM Walkin Drive 31st Jan to 4th Feb 2017. 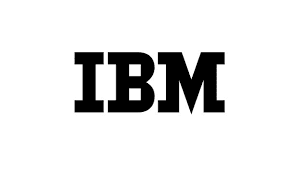 IBM Job openings for Graduate students as Associate, Senior Associate -(Technical). IBM is Recruiting Candidates for Multiple Vacancies. Applicants have to tighten up their preparation by framing a planner which will be comfortable for them. Candidates will be selected for the Position only if they perform well during the Selection process. So candidates who are preparing to attend IBM Walkin Drive can refer Placement Papers which will be helpful for the Applicants to prepare well and can improve their chance of getting selected in the Recruitment Process. Interested and eligible candidates can see the further details which are mentioned below. As IBM is entering a new era in technology and business, we are looking for candidates who are ready to be part of this transformation If you are ready, then the road to your career advancement begins at IBM. We are seeking [Technical Support Associate] and are keen to invite you to join us at IBM for a professional discussion. You will come with (0-3) years of experience, good technical skills, and fluency in English. Handling inbound calls/emails / chats resolving technical issues for end users. Proficient in Understanding of operating systems, Windows 2000/NT/XP configuration options, and troubleshooting. IBM has been present in India since 1992. IBM India’s solutions and services span all major industries including financial services, healthcare, government, automotive, telecommunications, and education, among others. As a trusted partner with wide-ranging service capabilities, IBM helps clients transform and succeed in challenging circumstances. IBM has been expanding its footprint in India – and has a presence in over 200 cities and towns across the country – either directly or through its strong business partner network. IBM India has clearly established itself as one of the leaders in the Indian Information Technology (IT) Industry – and continues to transform itself to align with global markets and geographies to grow this leadership position. Widely recognized as an employer of choice, IBM holds numerous awards for its industry-leading employment practices and policies. The diversity and breadth of the entire IBM portfolio of research, consulting, solutions, services, systems and software, uniquely distinguishes IBM India from other companies in the industry. As we have no constraints to carrying a pen-drive onto the premises, we would request to refrain from carrying a laptop with you for security reasons. Your cooperation in this matter is much appreciated. Do contact [me / SPOC (Email & Contact No.)] in case of any queries or questions. It will be a pleasure to assist. IBM is committed to creating a diverse environment and is proud to be an equal opportunity employer. All qualified applicants will receive consideration for employment without regard to race, color, religion, gender, gender identity or expression, sexual orientation, national origin, genetics, disability, age, or veteran status. We hope the information provided on IBM Recruitment is helpful for your job search. If this job doesn’t suit you then you can look for more Freshers Jobs in our Website. Keep visiting All India Jobs for regular Job Updates, off campus drives, walkin interviews, referral and many more.